Calibration & Verification Software for MTS Instrumentation - CalEasy Series | Marvin Test Solutions, Inc.
CalEasy is a full-featured, Calibration Executive software package that supports the verification and calibration of Marvin Test Solutions instruments. The software is intended for use by users that prefer to perform in-house calibration and verification for their Marvin Test Solutions instruments. By calibrating or verifying the instrument in-house, the time and cost associated with returning an instrument to Marvin Test Solutions for calibration service can be eliminated or reduced. CalEasy is also used internally by Marvin Test Solutions production to perform initial calibration and to recalibrate the instrument when received for service. This ensures that user and factory based calibration performance is similar. Depending on the specific instrument, standards instrumentation supported for calibration / verification includes a DMM, and a frequency standards module. Some modules require the use of matrix switch card. CalEasy's driver architecture supports the use of alternate standards instrumentation as well. New standards drivers can be developed using external development environments that can support the creation of DLLs. Verify only: In this mode no calibration is done. The instrument is only verified to its original specification and the result is printed to a test log. Verify and Calibrate if required: In this mode verification is performed and if required (the verification task failed) the instrument is calibrated. If calibration is successful the instrument’s non-volatile memory is modified with the new calibration values and a calibration certificate is generated. 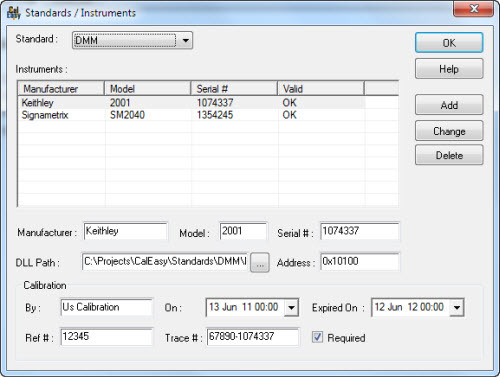 Alternately, if the verification is OK the instrument’s non-volatile memory is modified with the new calibration date but no new calibration values are written to the instrument and a certificate is generated. 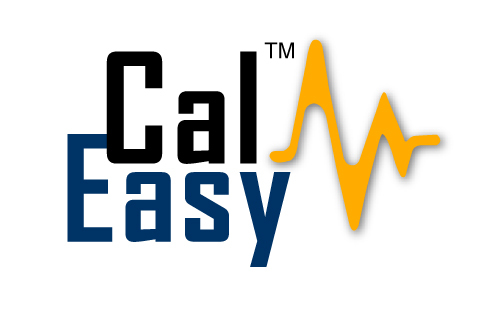 Each instrument standard is recorded by CalEasy, providing trace-ability of the standards instruments. 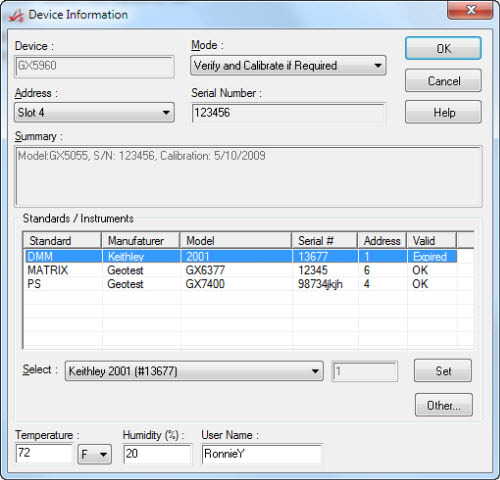 When CalEasy is started, the user selects the device to calibrate, the run mode, and the standards instruments required for the calibration or verification program. 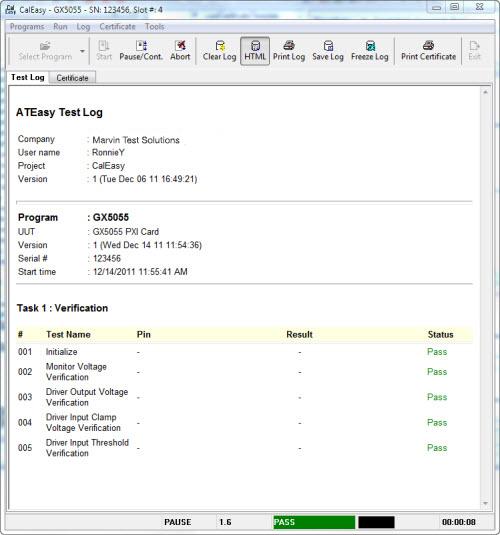 While verification or calibration is running CalEasy displays a test log that can be automatically saved or printed. The calibration certificate is saved or printed automatically upon successful calibration. You can customize the certificate to have your own logo or layout.